Netherrealms Studios has officially announced all of the content that will be included in the season pass for Mortal Kombat X. The Kombat Pack contains four new characters, themed skin packs for each character, and the Samurai skin pack. The first character included is famous slasher villain Jason Voorhees, who was previously announced on March 13th (see what they did there?). The three remaining characters are Tanya, Tremor, and the Predator from the sci-fi film series of the same name. 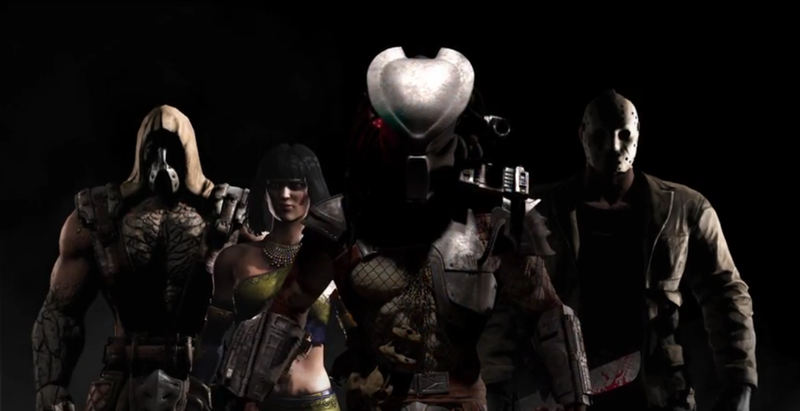 Jason and the Predator certainly need no introduction, but many may wonder who Tanya and Tremor are. Both are obscure veterans of the MK series making their returns. Tanya made her debut in Mortal Kombat 4 as an agent of Shinnok and prides herself on her cunning. Her treachery has made her many enemies in her homeland of Edenia, particularly with Jade. Following Jade’s death in the previous Mortal Kombat game, it will fall to her best friend, Kitana, to settle their rivalry in MKX. Tanya’s deceitful nature has appeared as a part of her playstyle with the ability to cover her movements with a smokescreen, but whether or not that will be incorporated in MKX is unknown. Tremor may be the most obscure character that could be included on the roster. His first appearance was as a boss in the infamous spin-off game Mortal Kombat: Special Forces where he was immediately killed by Jax. He first made his return in the rebooted universe as a part of the Challenge Tower on the Vita version of MK9. Having been betrayed by Kano while working for the Black Dragon Clan, he now seeks revenge on both Kano and Jax. His new design has taken him well beyond his original ‘ninja in brown’ look with much of his body turned to stone. This will be his debut as a fully playable character, so what type of playstyle he brings to the table is anyone’s guess.